The special counsel Robert S. Mueller III, who is leading the Russia inquiry against Trump, executed a search warrant at the Northern Virginia home of President Trump’s former campaign manager, Paul J. Manafort, for tax documents and foreign banking records, according to a person familiar with the matter. Normally, Mueller would simply ask Mr. Manafort’s lawyers for the documents as was done with Hillary. The issue of a search warrant is very aggressive and the probable cause is they believe he will destroy his tax records and will not hand them over. Mueller is deliberately treating Manafort as a criminal and this is all set to bring criminal charges against him for a collateral tax issue that will have nothing to really do with Trump. The search warrant, demanding tax and foreign banking records, suggests that investigators are looking at criminal charges related to the federal Bank Secrecy Act, which requires Americans to report their foreign banking accounts. Mr. Manafort was hired by Mr. Trump’s campaign in early 2016 as it prepared for a potential delegate fight at the Republican National Convention. 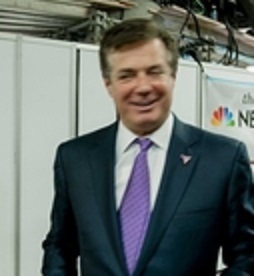 Then in June 2016, Manafort was named campaign chairman but resigned just two months later after reports that he had received millions of dollars in off-the-book payments for his consulting work in Ukraine. Clearly, Trump had nothing to do with that aspect, but by threatening criminal charges, they will cut a deal if he is suddenly willing to testify somehow that Trump knew of some Russian contact. They will ten fill the headlines and they will use this to try to force Trump to resign.